Flush Designs: Oh, No I didn't! Another Sneak Peek the Mod Table Top. Oh, No I didn't! Another Sneak Peek the Mod Table Top. I did! 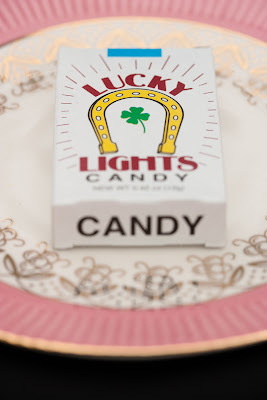 I used Candy Cigarettes for one of my table tops. GASP!! 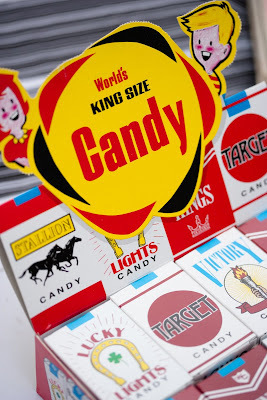 Not candy Cigarettes! How politically incorrect of me! Aren't those banded in the US? Nope! What else says 1960's Modern Paris Cafe based on the movie Breathless, then cigarettes? Nothing, and I am so cool for thinking of it. :) So here is a little peek at the Modern Table top. Deal with it! :) Okay so maybe this has to be a no- kid wedding, wouldn't want them to think smoking is cool... even though uncle chuck, the groom and all the men are outside smoking cigars... ah ha gotcha there! 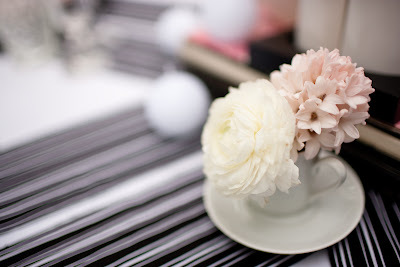 I love the flower heads peeping out of the mini china tea- cup, just gorgeous!